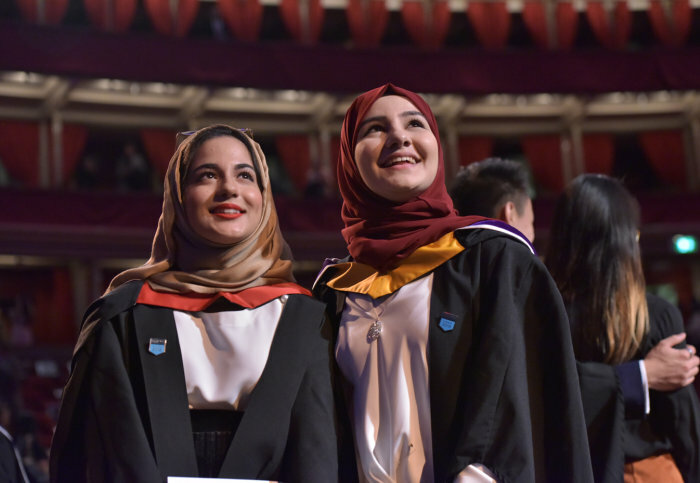 Over 2,400 students received their undergraduate degrees during Imperial’s Commemoration Day ceremonies held in the Royal Albert Hall. 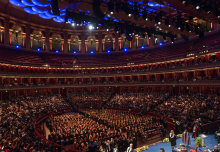 More than 6,500 guests watched Imperial’s newest graduates cross the iconic stage during three ceremonies, while family and friends around the world could join in with celebrations from afar thanks to a livestream of proceedings. The graduating students will join an international network of 200,000 alumni worldwide. Commemoration Day, the College’s undergraduate graduation day, is held in October each year. It is named in honour of a visit to Imperial by King George VI and Queen Elizabeth in 1945, on the centenary of the foundation of the Royal College of Chemistry, Imperial's oldest forerunner. Addressing the audience of graduands and guests, Professor Alice Gast, President of Imperial College London said: “I hope that one thing that you take away from your time at Imperial is the importance of working with others. Whether it was through a group project for your course, while pursuing an entrepreneurial idea, or by gaining feedback on something you were doing, I hope that you found that the give and take of collaboration and teamwork amplified and polished your work." During the ceremonies Imperial also honoured others who have made contributions to the College, research and wider society with honorary degrees and Imperial College medals. 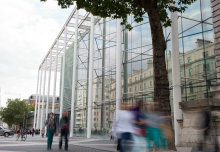 Professor James Stirling served as the first Provost of Imperial College London from August 2013 until his retirement in August 2018. As Provost, he championed initiatives such as mental health awareness and gender equality, and with his guidance and support, the College renewed its Athena SWAN Silver Award in 2016. Professor Stirling has implemented major improvements to the College’s animal care and professional review processes, resulting in the College receiving a Highly Commended award at the annual awards for Openness on Animal Research. Professor Stirling is also renowned for his research in elementary particle physics, and his papers are among the most highly cited in the physical sciences. His primary area of expertise, quantum chromodynamics, has been central to discoveries in physics and many of his calculational techniques have now been adopted as standard practice. He receives an Honorary Degree of Doctor of Science in recognition of his outstanding contribution to particle physics and to Imperial College London. Dame Judith Hackitt is Chair of EEF, the manufacturers’ organisation. She is also Chair of SEMTA, the skills body for Engineering and Manufacturing, and senior non-executive director of the High Value Manufacturing Catapult. After graduating from Imperial’s Department of Chemical Engineering in 1975, Dame Hackitt has led an illustrious career in the engineering and manufacturing sectors. For over twenty years, she worked in the chemicals manufacturing industry, before joining the Health and Safety Executive (the HSE), in the early 2000s, serving as Chair from October 2007 until March 2016. She has been a major force for integrating health and safety issues into industrial processes, design and operations and through her work has enhanced awareness of health and safety with the general public. Dame Judith recently led an independent review into Building Regulations and Fire Safety related to high rise buildings in the wake of the Grenfell Tower tragedy. She receives an Honorary Degree of Doctor of Science in recognition of her outstanding contribution to the engineering profession and to Imperial College London. Mr Ed Daniels is Executive Vice President for Strategy for Royal Dutch Shell plc. He is an alumnus of the College, graduating in 1988 with a Master’s in Chemical Engineering, before beginning a distinguished career with Shell working across many divisions. For many years, Mr Daniels has been the senior contact between Shell and the College, building up and supporting close technical collaborations. This has included the Qatar Carbonates and Carbon Storage Research Centre, the Shell-Imperial Advanced Interfacial Materials Science (AIMS) Centre and the Shell-Imperial Digital Rocks programme. He has also overseen the creation and maintenance of a number of Shell Research Chairs linked to these and related activities. In addition to stimulating Shell-academia relationships in general, Mr Daniels has given back to the profession of Chemical Engineering, both through student and public lectures and through active involvement with the Institution of Chemical Engineers (IChemE). Mr Ed Daniels receives an Honorary Degree of Doctor of Science in recognition of his contribution to the chemical engineering profession and to Imperial College London. Professor Lord Robert Mair is President of the Institution of Civil Engineers, as well as Emeritus Professor of Civil Engineering and Director of Research at the University of Cambridge. Since graduating from Clare College, Cambridge, Lord Mair has become a specialist in underground construction. He has advised on numerous projects worldwide and, in the UK, he was closely involved with the design and construction of the Jubilee Line Extension for London Underground, and with the Channel Tunnel Rail Link (now HS1) and Crossrail projects. He was responsible for the introduction of compensation grouting in the UK as a novel technique for controlling settlement of structures during tunnel construction –a technique that has since been widely adopted on many urban underground construction projects. Lord Mair is also one of the founding directors of the Geotechnical Consulting Group, an international company based in South Kensington, which was established in 1983. The company has strong links to the College, and is one of the sponsors of the College’s MSc Industrial Bursary Scheme for postgraduate students. Professor Lord Robert Mair receives an Honorary Degree of Doctor of Science in recognition of his outstanding contribution to the field of civil engineering and to Imperial College London. Emeritus Professor Tony Constantinides, for his extraordinary contributions to the field of digital signal processing research, as well as to higher education in the UK. Jane Neary, Director of Campus Services, for having an outstanding impact on the experience of Imperial staff and students across the College’s accommodation, catering and pastoral care. 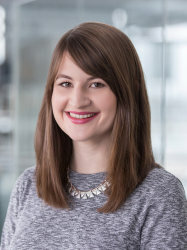 Julia Cork, former Education Manager for Undergraduate Medicine in the Department of Surgery and Cancer, for her immense support to generations of students in the department. At the ceremony, Imperial awarded an Outstanding Student Achievement Award to Dr Connor Shiqu Qiu, who graduated with an MBBS from the School of Medicine. Dr Qiu pioneered the SleepImperial campaign to promote sleeping and wellness across the College. Dr Qiu worked with a team of students and staff from across the College to organise and run the first Imperial Sleep Week, featuring talks, information stands and yoga sessions, all aimed at improving students’ understanding and attitude to sleep. The President’s Awards for Excellence are annual awards to recognise staff members who have made outstanding contributions in Education, Research or Societal Engagement. Those awardees judged to have made particularly exceptional contributions are selected to receive the President’s Medal. 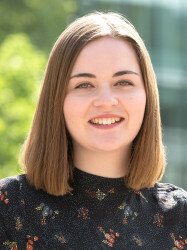 In the ceremonies, President’s Medals for Supporting the Student Experience were awarded to Clare Drysdale, Teaching and Industrial Liaison Manager in the Department Electrical and Electronic Engineering; and Dr Wayne A. Mitchell, Senior Teaching Fellow in the Department of Medicine.